President Trump's tax reform bill is in serious trouble. The two clowns Cohn and Mnuchin have put together a plan that has no chance of passing in its present form. House Republicans took an important step forward for tax reform on Thursday when they passed the long-awaited budget resolution. But the GOP may now find it has walked into a minefield. To make tax reform revenue neutral, Republicans would have to raise other taxes or pair tax cuts with spending reductions. The latter is all but impossible as it would vastly complicate passage of the bill and would require lawmakers to vote against popular spending items or propose cuts to entitlements like Social Security, something Trump has said he would oppose. So the only solution, from an inside the Beltway perspective, is to raise taxes. So what about trying to raise other taxes? 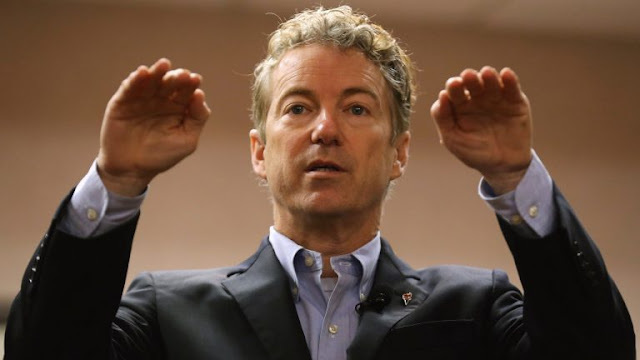 That would likely alienate Senator Rand Paul, who has already complained that the Big Six framework could raise taxes on many middle-class families. Paul has said he will await “final details” before making a decision. But he has clearly signalled that he will oppose any attempt to make up the deficits that might be created by an overhaul’s tax cuts with tax hikes on middle-class Americans. With the GOP's slim majority in the Senate, for tax reform to pass, Rand's vote may be crucial and as it stands now, he has made clear he will not support a tax reform package that raises taxes on any group. He is the only Senator with this position. He is the only one we can count on.